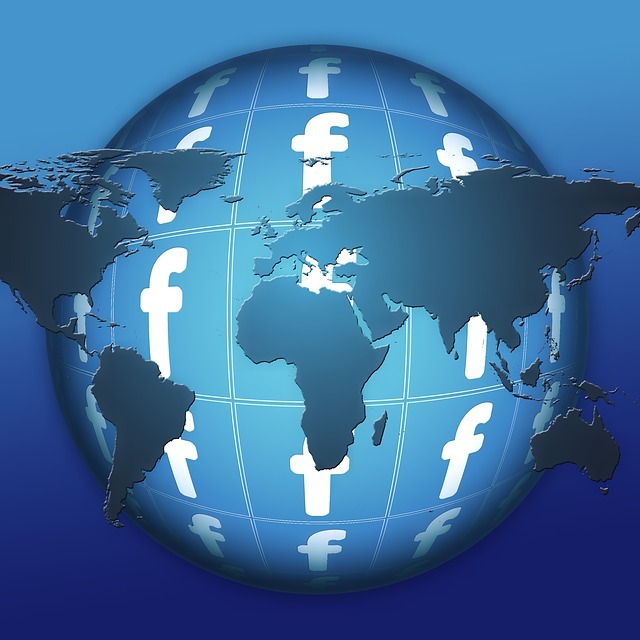 Facebook is one of the top most social networking sites. It is free and it allows registered users to create profiles, upload photos and video, and send messages. It also allows you to keep in touch with friends and family who live far off. It helps you connect with your colleagues or ex-colleagues from your last job. You can use Facebook for professional networking, to get your dream job just like LinkedIn, which is another social media exclusively for professional networking. Facebook allows you to maintain a journal of your life, so you can live your moments in form of photographs, events, status updates. There are some people who may think of Facebook as a waste of time as you get linked to sites, videos, photographs, company brand pages that may not be of any interest to you. This time invested on Facebook can be productively used else where. It is not wrong to have FB account however it is true that it can spoil your professional life completely if not managed strategically. Let us see 15 common ways it can cause damage. Using common Email address for all personal and professional purposes including social media like Facebook, Twitter can do more harm than good. When you apply for a job, more than just a few companies use an email plug-in called ‘Rapportive’, which connects your email address with all social media. This plug-in extracts all data associated on all social media to the email Id mentioned thus creating your profile that is highly rich and complete, even though you may have all the privacy policies in place. Keep it simple with different email Id’s for personal as well as professional reasons. At the time of hiring, companies are now adding social media provisions which may have terms stated for termination in case of irresponsible, rogue comments on any social media sites like Facebook, LinkedIn or Twitter. In case you are not aware of such a policy then HR may be of help. Your employer may fire you for posting a comment about the company revealing information or spreading negative publicity about the organisation, employees, work culture and its work ethics. While you are at work, try to focus on the task given rather than socialising either on your computer or on your smart phone. Avoid this as it sends out an unprofessional signal not just to your colleagues but also to others you socialise with. Keep away from posting status updates that describe your co-workers, managers or even your company. Try to stay away from social media specifically Facebook during work hours. Posting comments that complain about work or workplace is a big ‘no’ as it may lead to a cascade of comments and social media drama. It may be unfavourable for any job searches, or even your next promotion. Negative posts on your workplace will keep you from being hired by a potential employer. Positive or negative posts both can lead you in to issues with your higher up’s, even when you are not at work. Keep your status positive and generalised; avoid talking about work place politics or your work place. Your choices may be clear about what you like or do not approve of, however everything you ‘Like’ may seem as you have a lot of time on your hand, even if it is your personal time. It may also seem as though you have no other life than being on Facebook. Keep away from randomly clicking on ‘Like’ in your spare time and most importantly think before you ‘Like’ as it may spread a message that may not be good for your image eventually. Privacy settings of Facebook are usually not well understood. The ‘Switch to graph search’ does not allow you to keep your profile on Facebook hidden. Set up manually the guidelines for who can see and access your account. Creating categories or lists of co-workers, friends, relatives or family separately allows you to provide them access your profile with discretion. This helps if in case there are posts that may create controversy. You can change settings so that co-workers cannot see anything you are tagged in. It may seem fun when your profile picture depicts your fun loving nature or you getting wild at a party, however, it will not be a great snapshot that reflects your professional persona. Poor quality picture that may be grainy, dark or out of focus will get in the way of landing a job. You profile picture can be a chest up high resolution shot just like the passport size photograph which gives you not only a professional look but also makes you appear responsible, especially when you are looking for a job. 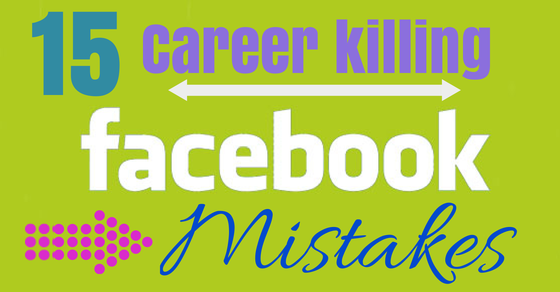 It is important that your Facebook profile and your resume reflect the same information. 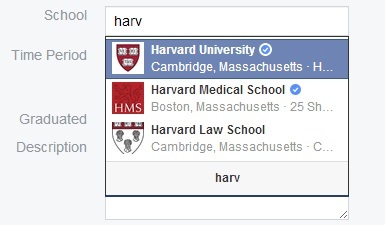 For instance, if you have a degree from Oxford on your resume, however, you mention Harvard on your Facebook profile; the disparity will make you look careless and less trustworthy. Keeping consistent information or none on the Facebook is a choice you need to make. Be cautious about posting on issues that are polarizing (Political, Religious and Sexual health) and live debates even though you may be passionate about certain issues. It will not be right to be discriminated on the bases of such posts however the posts do affect subconsciously and may lead to biased decisions of hiring. There is an exception though wherein if the discussion is related to your industry, in that case a respectfully phrased, well expressed and researched topic shows off your expertise and builds a more positive effect on the potential employer, including comments. All your posts on Facebook are commented on not just by your friends, family but also by colleagues alike. You need to be alert and watch out for those lewd comments that make their way from friends who just forget that the Facebook is easily viewable by parents and employers alike. These comments can stand in the way of your promotion. If you are searching for a job then do not sound desperate by updating a status or posting comments to all your friends by broadcasting instead. Social media can be powerful if used judiciously instead of concentrating all efforts of networking on Facebook itself. Being active, joining interest groups on other social media like LinkedIn, Instagram or Twitter gives you additional visibility that you require to get through that job by simply commenting. You can share expert content too on Facebook to further your reputation. Also, you may simply choose not to associate all of them with work life. The only thing that is important is your judgement on how to use your social media like Facebook for networking in the best possible way. Keep each platform separate and unique with relevant content. It may seem like a great idea to add your manager on your Facebook profile within the first few weeks of joining your work place; however, it is difficult to juggle between all different kinds of friends – work friends, real friends, old friends, acquaintances, family and those you do not really know. Commenting, gossiping or discussing about someone on Facebook and later realizing that they are on your friends list can be a little embarrassing, especially if it is your manager you talked about. When creating your profile, be cautious about the hobbies you list. You may be a fun loving, party animal or adventurous however your potential employer may view this piece of information as an indicator that you may miss work in the beginning of the week more often. List out hobbies that is generally accepted and not controversial. Present yourself in such a way that you do not seem to be a threat to the organization like neither dull nor too intelligent that the higher management cannot take the risk of hiring you. Do not add any memberships like MENSA, because your intelligence may be threat to an employer who is not as bright. Certain information can get leaked if you do not pay attention like a new job, the party you attended while you called sick at work, passwords, bank details and financial position. You should avoid sharing personal information like your daily routine, bodily functions, money minting posts or scams, issues with parents or siblings. Avoid talking or sharing information that you are not comfortable sharing. Your photos with family, baby and kids especially if you are using the Facebook profile for professional reasons. Instead, you can easily create another profile with a different email Id for personal reasons and share with friends and family and not with colleagues. If you operate strategically then any social media like Facebook can be used as a good networking tool. It can make or derail your career. All you need is to be well aware of those security and privacy settings and make the most of the social media with the best attitude. Previous articleWhy is Recruiting Important in an Organization?